Interactions between metabolism and immunity play a pivotal role in the development of obesity-associated chronic co-morbidities. Obesity involves impairment of immune function affecting both the innate and adaptive immune system. This leads to increased risk of infections as well as chronic low-grade inflammation, which in turn causes metabolic dysfunction (e.g. insulin resistance) and chronic disease (e.g. type-2 diabetes). Gut microbiota has emerged as one of the key factors regulating early events triggering inflammation associated with obesity and metabolic dysfunction. 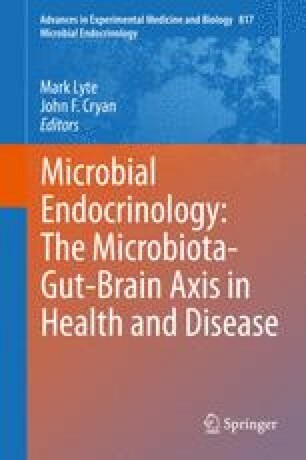 This effect seems to be related to diet- and obesity-associated changes in gut microbiota composition and to increased translocation of immunogenic bacterial products, which activate innate and adaptive immunity in the gut and beyond, contributing to an increase in inflammatory tone. Innate immune receptors, like Toll-like receptors (TLRs), are known to be up-regulated in the tissue affected by most inflammatory disorders and activated by both specific microbial components and dietary lipids. This triggers several signaling transduction pathways (e.g. JNK and IKKβ/NF-κB), leading to inflammatory cytokine and chemokine (TNF-α, IL-1, MCP1) production and to inflammatory cell recruitment, causing insulin resistance. T-cell differentiation into effector inflammatory or regulatory T cells also depends on the type of TLR activated and on cytokine production, which in turn depends upon gut microbiota-diet interactions. Here, we update and discuss our current understanding of how gut microbiota could contribute to defining whole-body metabolism by influencing diverse components of the innate and adaptive immune system, both locally and systemically. This work was supported by grants AGL2011-25169 and Consolider Fun-C-Food CSD2007-00063 from the Spanish Ministry of Economy and Competitiveness (MINECO, Spain). The scholarship of A Moya from MINECO is fully acknowledged.